Future Group’s premium lifestyle and food superstore, Foodhall, is now open at Vama Departmental Store. South Mumbai’s first Foodhall featuring many of the exclusive concepts and unmatched experiences that were first launched at the new Linking Road superstore in December 2018, offers an exhaustive range of everything from daily essentials to exotic foods – ideal for the well-travelled, urban consumer. Spread across 8,300 sq. ft., this sprawling store is located within the Vama Departmental Store on Peddar Road, adding a unique gourmet experience to an otherwise busy arterial neighborhood. Buoyed by the success so far of the Foodhall at Linking Road – one of our most ambitious projects ever, which aims to be India’s answer to the highest quality gourmet stores seen across the world – we are delighted to launch our newest Foodhall at Vama. We are keen to bring our roster of unique, culinary experiences to a discerning South Mumbai audience, who we are confident will appreciate the well-curated offerings that Foodhall at Vama will provide. For the first time ever, food lovers in South Mumbai will be able to experience exclusive culinary offerings like Foodhall’s thoughtfully-curated Cheese Cellar, which is dedicated to over 150 varieties of cheese spanning 20 countries with experts helping you assemble cheese & antipasti platters paired with wines and charcuterie for your parties; and the Meat Market, stocking everything from cold cuts and varieties of eggs to exotic meats such as whole Peking duck prepped and cut in-store, Japanese quails, farm rabbits, and guinea fowl. As a nod to health trends, the market also has Kadaknath chicken, a rare, locally-bred bird prized for its protein content and flavor as well as lobsters, shrimps, basa, tilapia and crabs. 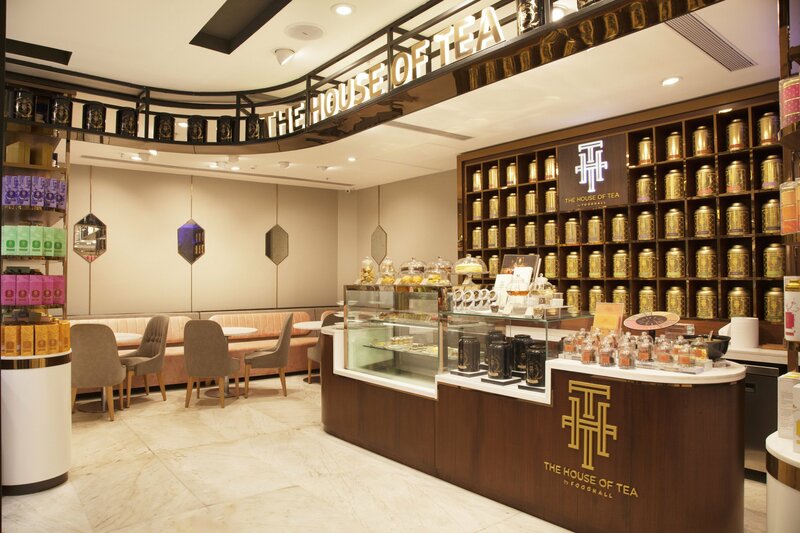 An elegant The House of Tea (THT) salon offers a one-of-its-kind traditional British High Tea Ceremony with a menu of over 40 loose leaf teas to choose from, and also a tea tailor experience where patrons create their own infusions. A unique tea and cheese pairing experience is also offered here. 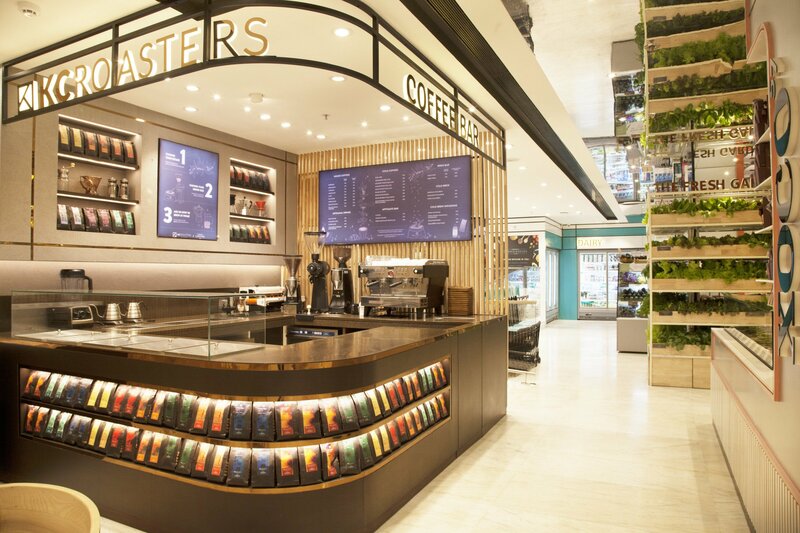 Additionally, coffee lovers can enjoy coffee from KC Roasters, at a state-of-the-art coffee lab set up in store. This is the first time this favoured coffee brand is available in South Mumbai. 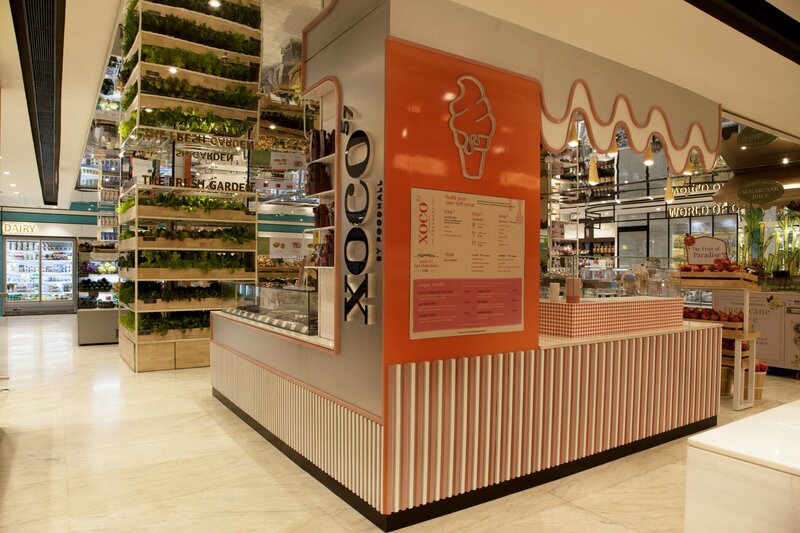 For the sweet toothed, Foodhall is offering a fun and interactive softie counter under their Xoco 57 brand of single-origin, handcrafted chocolate, which allows patrons to make their own softie and choose customized toppings. A custom-built 8 x 12-foot Hydroponic Wall offers patrons fresh, leafy vegetables which deliver a farm-to-cart experience, and plants which are available for purchase. A number of live counters encourage an interactive experience for customers. These include a make-your-own, fresh Nut Butter station with toppings of one’s choice; a live Guacamole counter; and a try-and-buy Persian dips station. The 35-seater Café by Foodhall offers patrons breakfast and lunch menus, making it an ideal pick for those looking for a quick breakfast or a light lunch in the area. 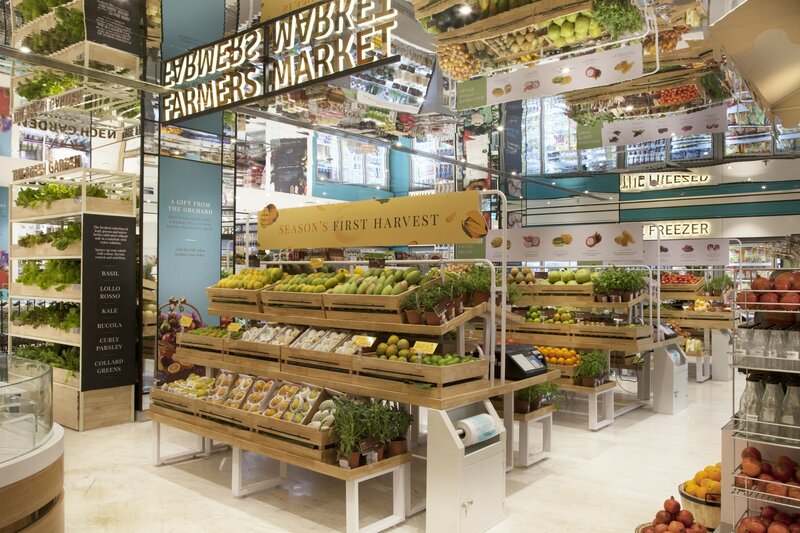 Foodhall’s range of specialty brands are also on display at this new store, including the ARQA spice station; and the Foodhall Bakery. Also Read: Prabhadevi Welcomes 1441 Pizzeria's First Delivery Kitchen!